Michael Tlanusta Garrett, Ph.D., is both a student and teacher of the Cherokee Way, drawn from the ancient wisdom teachings of the medicine elders on the Cherokee Reservation in the Great Smoky Mountains. He is an assistant professor of counselor education at the University of North Carolina at Charlotte, the author of Walking on the Wind, and the coauthor of Cherokee Full Circle and Medicine of the Cherokee. "I am a traditional Cherokee mother and grandmother, and it is my responsibility to teach my children and grandchildren to be at peace with everyone and everything, and how to live as true Cherokee (Tsa la gi), in harmony with all living things. 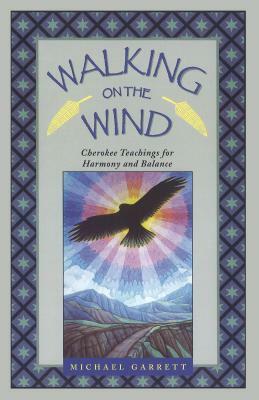 If the Creator (U ne tla nv hi) decided that he needed me more than my children and grandchildren needed me tomorrow, then I can go to him at peace knowing that this wonderful book, Walking on the Wind, was here to teach them the things I didn't get a chance to teach them." "For the souls of modern people, this book is Good Medicine." "I wept as I read--so simple the stories, so powerful the messages! Great truths revealed through storytelling helps the reader see visions and dream dreams through Cherokee eyes."